The gardenia is a popular flower with everybody. It’s often used in decoration and for gifts, but do you know the meaning behind the gardenia? Or when to give it as a gift? Or what preserved gardenias you can buy? From Verdissimo, the leading producer of preserved plants and flowers, we’ll tell you all about the gardenia in this post, with special emphasis on the meaning behind this flower. When is the best time to give gardenias as gifts? How can you decorate your home with gardenias? The gardenia is an exotic flower originally from Asia, specifically China. It belongs to the Rubiaceae family. The scientific name for gardenia is the following: Gardenia jasminoides. These flowers are full of personality and are eye-catching, especially because of their “bright” green color and leaves, among other aspects. Although roses are best known for their beauty, gardenias aren’t far behind. Their beauty is known almost everywhere throughout the world. The gardenia has large, lush leaves. There are many varieties of this plant species. Gardenias are originally from Asia. Wondering what the meaning behind the gardenia is? The gardenia is a flower that symbolizes purity and gentleness. However, this symbolism often depends on the color of the gardenia. For example, the white gardenia best fits this meaning. Another symbol of the gardenia is secret love between two people and also joy. Finally, we must note that the gardenia symbolizes everything related to the spiritual world, especially pure attraction. It’s a mystical flower associated with the power of attraction and positive energy. Of all the gardenias, the white gardenia stands out because it has the greatest symbolism. The white color of its petals symbolizes the purity of a loved one, the purity of a relationship, etc. Gardenias in this color convey peace and harmony, which is why they’re often used in interior decoration and even for gifts. We should note that the meaning behind the red gardenia is distinct from the white gardenia. 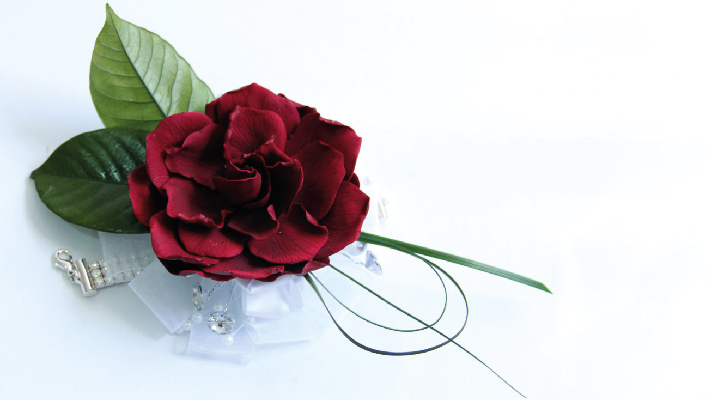 The red gardenia symbolizes the secret love between two people. Like red roses, red gardenias are also a symbol of passion and love, but associated with secrecy. Usually the gift of red gardenias is a silent way of saying “I love you.” Red gardenias convey several feelings, not just love, towards a person. They also show: admiration, respect, etc. The meaning behind flowers is very important for knowing when to give them as gifts. Keeping in mind the meaning behind the gardenia, we recommend here at Verdissimo that you give these flowers when you feel a special love for another person and he/she still doesn’t know, especially if you want to convey joy for others. They are also good gifts for celebrating a communion or baptism, since as we’ve previously mentioned, these flowers symbolize purity and are ideal for a special children’s celebration. However, they’re also suitable flowers to give your fiancée or girlfriend, since they represent the purity of a relationship or love, etc. While roses are the queens of any garden, preserved gardenias are the queens of any home. The beauty of these flowers makes them ideal for any indoor space. Their appearance is as striking as roses, and like them, they come in a variety of colors. Gardenias don’t live very long and need some care to keep them in a humid environment. However, if you use preserved gardenias for decorating your home… forget all these worries! Like all our preserved flowers, they don’t need any type of maintenance, since preserved products don’t require any water or natural light to maintain their beauty. Gardenias are often used for wedding ceremonies due to their beauty and symbolism. They also convey joy and purity on the most important day for a couple. At weddings, you can see gardenias in the bridal bouquet, at the church or the banquet: as centerpieces or decorating the space. It’s typical for these gardenias to be white and used for wedding centerpieces, though you can find them combined with other colors such as pastel pink, sky blue, etc. At Verdissimo, you can find preserved gardenias both for decorating any space and giving as gifts. Our preserved gardenias, like all our products, are capable of keeping their beauty over time without needing hardly any maintenance, since they don’t need light or water to survive. At Verdissimo, you can find gardenias in different colors. These colors include: white, red, pink and maroon. Now that you know more about the gardenia, don’t wait any longer and give this flower as an original symbolic gift! Or learn how to make floral arrangements with gardenias to decorate your home with these lovely flowers! Verdissimo Discover the beauty of preserved flowers!